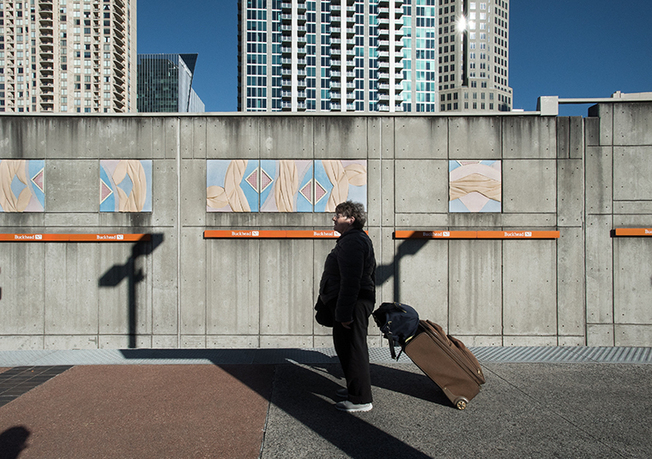 David Naugle, photo of artwork by Paul Freundt, As It Goes Through, 1981, at the Civic Center MARTA Station, 2015, Atlanta, GA. Courtesy of artist. 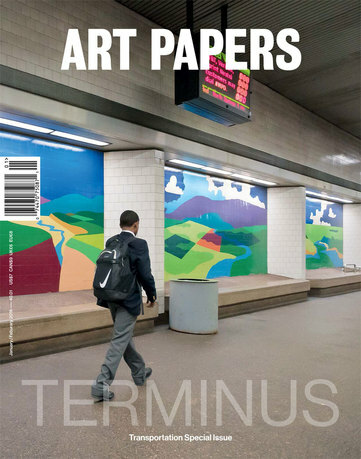 "Terminus" is an expanded issue of Art Papers magazine devoted to the topic of transportation and its impact on architecture, urban design, and visual cultural production. 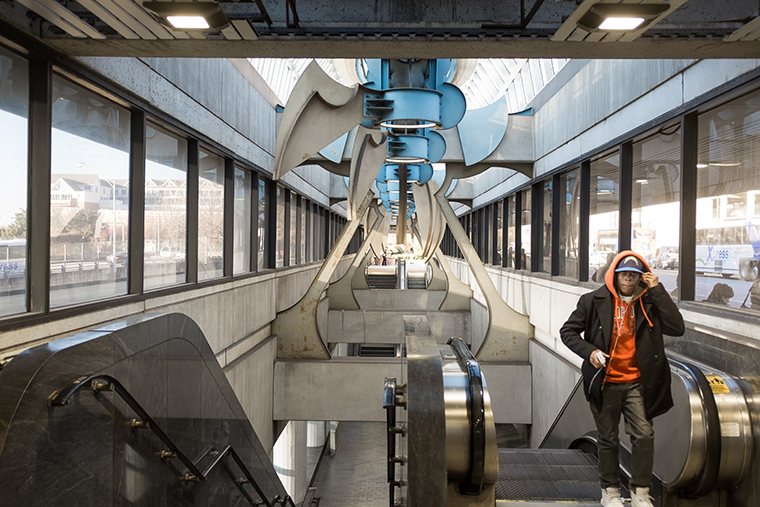 Art Papers was established forty years ago in Atlanta, GA: a city historically, presently, and imminently defined by transportation industries. Atlanta, founded as Terminus in 1837, owes its existence to railway networks, and its reputation to the international prowess of its airport (the world's busiest). Its future economies and discourses will develop around automotive giants such as Porsche and Mercedes Benz, as their US corporate headquarters open in Atlanta, and around the city's demonstrated interest in multi-use, accessible, and green urban re-development. 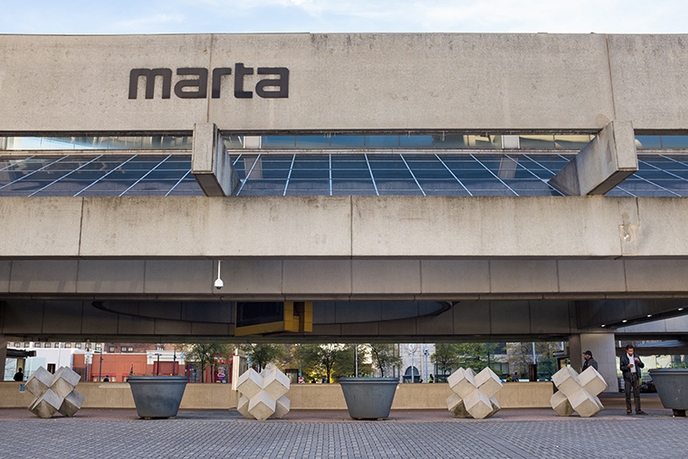 On the twentieth anniversary of Rem Koolhaas's paean to the sprawl that is Atlanta—a "landscape," wrote Koolhaas, defined by its "forests and roads"—Art Papers asks, what if the barrier were a cultural forum, and the thoroughfare a gathering place? 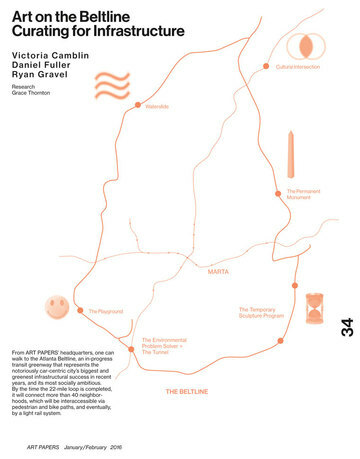 Victoria Camblin is the editor and artistic director of Art Papers. From 2006 to 2013, she was editor of 032c, a Berlin-based contemporary culture magazine, where she remains on the editorial board. Her writing has appeared in such publications as Artforum and Texte zur Kunst, and she has curated and contributed to public programming and exhibitions in the United States, Europe, and the Middle East, including collaborations with such institutions as the Architectural Association (London, UK), and Art Dubai (Dubai, UAE). She is currently completing a PhD in the history of art at the University of Cambridge (UK), where her doctoral work is devoted to Acéphale, a periodical edited by Georges Bataille and illustrated by André Masson. She is interested, as a practitioner and as a scholar, in the publications of the artistic avant-garde, and the combined communicative and community-building powers of mediated text, image, and action. Ryan Gravel, AICP, LEED AP, is an urban planner, designer, and author working on site design, infrastructure, concept development, and public policy as the founding principal at Sixpitch. His master's thesis in 1999 was the original vision for the Atlanta BeltLine, a 22-mile transit greenway that after fifteen years of work and collaboration is changing both the physical form of Atlanta and the decisions people make about living and working there. 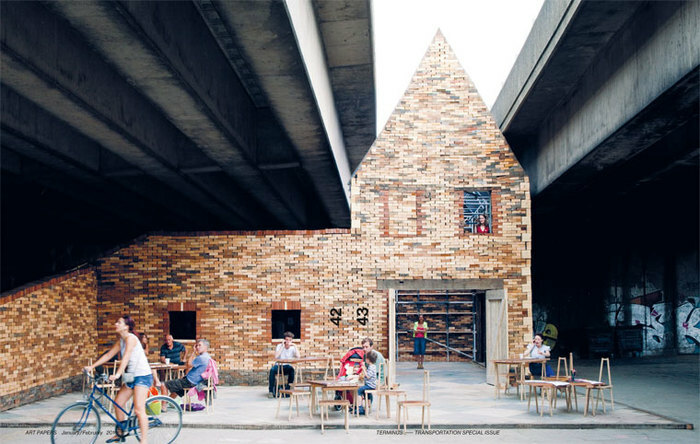 Alongside other projects at Sixpitch and research on similar "catalyst infrastructure" projects around the world, Ryan's forthcoming book, Where We Want to Live, (2016), investigates this cultural side of infrastructure, describing how its intimate relationship with our way of life can illuminate a brighter path forward for cities. John McCusker is a graphic designer whose practice focuses on publication and identity design in the fields of art and architecture. He has worked for clients such as Ricardo Bofill Taller de Arquitectura (Barcelona), firstsite (Essex), Thyssen-Bornemisza Art Contemporary (Vienna), INDA International Program in Design and Architecture (Bangkok), and the Marrakech Biennale (Marrakech). He has collaborated on books with artists including Aleksandra Domanovic, Cerith Wyn Evans, Oliver Laric, Sharon Lockhart, Timur Si-Qin, and Simon Starling, and has exhibited at Program (Berlin), Form Content (London), and Nieuwe Vide (Haarlem). Born in North Carolina and educated in cultural studies at UNC Chapel Hill, he currently resides between Berlin and the Eastern United States. Saskia Benjamin is the executive director of Art Papers. She holds master’s degrees in city and regional planning from the Georgia Institute of Technology and art history from the University of Southern California. Her professional experience includes work with museums such as the High Museum and the Atlanta Contemporary Art Center, as well as urban planning. Benjamin was the Growth Management Program manager for the Georgia Conservancy, where she developed environmentally focused growth plans for Georgia communities. She also worked at the Center for Quality Growth and Regional Development at Georgia Tech, managing projects in housing, health, and transportation. Art Papers is an independent platform for dialogue, document, and experiment in contemporary visual art and culture. 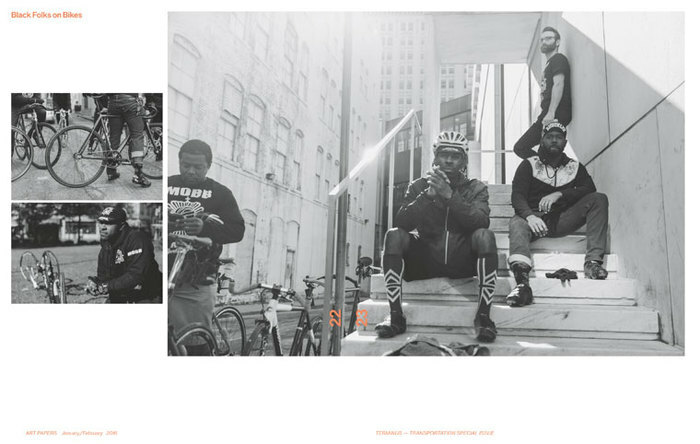 An Atlanta-based nonprofit organization founded in 1976, Art Papers provides an accessible forum for critical, curatorial, and discursive exchange—in print, online, and through public programming. From our unique vantage point in Atlanta, we have a rich history of documenting, responding to, and participating in a global art discourse from an "off-center" perspective.